Any topping of your choice: ice cream, strawberries, meringues, donuts or chocolates. 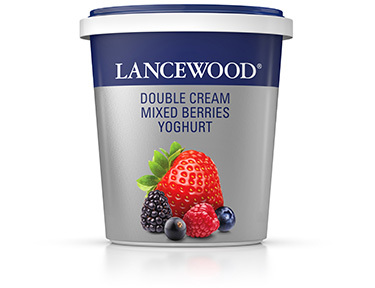 Place the strawberries, ice cream, LANCEWOOD® Double Cream Mixed Berries Yoghurt and fresh cream in a blender and blend until smooth. Divide the mixture between two glasses. Add your choice of toppings and enjoy.